The trophy room is the pride of the Predators. There they display the trophies from their most powerful enemies as reminders of successful hunts. The skulls and spines of all kinds of different creatures have been displayed, including humans, Xenomorphs, other Predators and even dinosaurs. The Predator movie established that the Predators actually collect spines for DNA splicing but perhaps that is not their main objective. Here is a compilation of different Predator trophy rooms and walls from the movies, games and comic books. The trophy room from Predator 2 is definitely the most famous display of Predator hunting successes. It was located in the Lost Tribe ship under Los Angeles and was visited by Detective Mike Harrigan while pursuing the City Hunter. Besides the skull of King Willie, the trophy wall contains a mutated version of a T-Rex dinosaur, a Xenomorph head and the skulls of some unknown creatures. The one in the middle resembles a Yautja skull. The big one on the right is possibly a creature from the Aliens vs. Predator 2: Primal Hunt video game. The Lost Tribe trophy wall was the first case in movies where we saw evidence of the Predators fighting Aliens. The trophy room from the beginning of Aliens vs. Predator: Requiem is probably the most impressive one from all of the Predator media. Too bad we see it so briefly and in very dark light, like the rest of the movie. It was located on the Predator scout ship that separates from the mother ship. It was not only a trophy wall but also a workbench from the Predators who cleaned the skulls of fallen enemies on the table. The impressive lineup of skulls even contains a Space Jockey head. 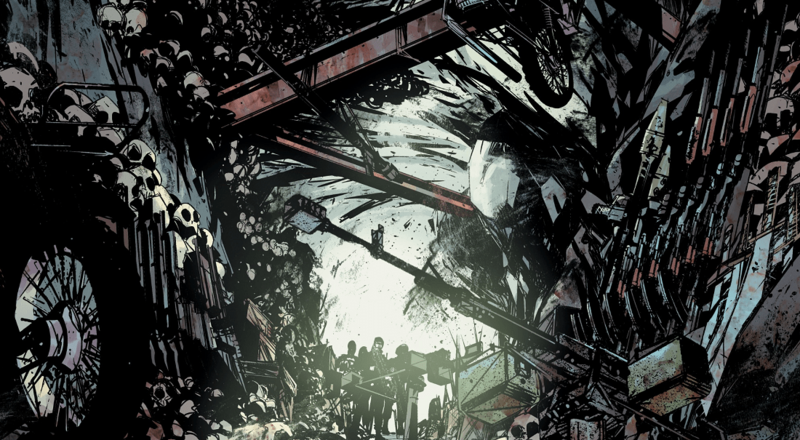 The trophy room was destroyed together with the ship on Earth by Wolf during his cleanup mission. Wolf did not necessarily have a trophy room, but more like a war room in his penthouse-like apartment on Yautja Prime. However, it is possible that the masks and weapons displayed in the room are mementos from conquered enemies, including other bad-blood Predators. Wolf also used a tail manufactured from the tail of a Xenomorph, possibly also a trophy itself. On Earth, he was not so much interested in taking trophies, but cleaning up the mess of the other Predators. He did skin the poor debuty sherriff for no apparent reason though. 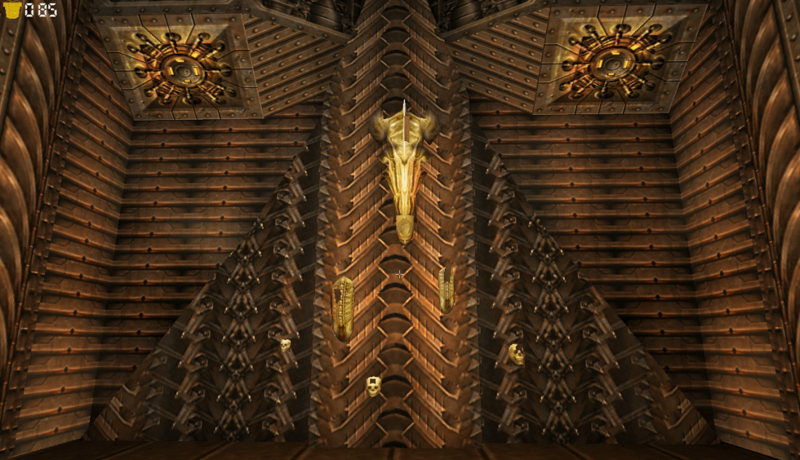 The Zeta site trophy room on LV-1201 was located in the ruins of an ancient Engineer structure in the Aliens vs. Predator 2: Primal Hunt video game. The ancient Predator discovered the structure in the 18th century and the Yautja built their own facility on top of the Engineer ruins. The facility contained the impressive looking trophy room. On display were 3 human skulls, 2 Xenomorph skulls and the head of the Alien Queen. Although there weren't many trophies, the wall looked great with the golden skulls and background. Scarface the Predator from the Predator: Concrete Jungle video game had a simple looking trophy room in his ship. He only displayed human and Yautja skulls, although he also hunted Xenomorphs at one point. The biggest Predator skull in his collection belonged to Stone Heart, a enhanced enchanced Predator. The trophy wall also contained 12 skulls of different crime bosses from the Neonopolis city where Scarface hunted. On the right side of the trophy case were displayed personal achievements that were obtainable in the game. The Mortal Kombat XL video game includes the Alien and Predator as playable characters. After defeating an opponent and ripping their head off, the Predator placed their skull inside a sleek looking trophy room, presumably onboard his spaceship. The trophy room contained several exotic trophies, like the head of a mutated T-Rex (similar to the one in Predator 2), the skull of a Tyranid from Warhammer 40 000 and a skull from the Diablo video game series. The Tom Clancy universe got a visit by a Predator in the Ghost Recon Wildlands video game. The locals in Bolivia complained about the jungle moving and people disappearing. 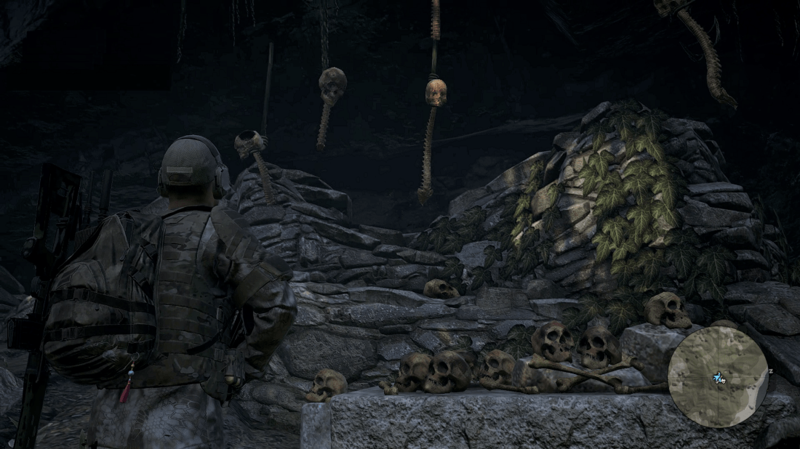 A squad of Ghost Recon soldiers investigated the scene and found a Yautja ship, skinned bodies and a Predator trophy wall in the jungle. The wall was filled with the skulls and spines of slaughtered narcos and possibly rebels who fought against them. The Predator was mortally wounded by the Ghost Recon squad and chose to blow himself up. The Predator nicknamed Big Mama had a very exotic trophy wall onboard her ship. In addition to an Alien Queen and 2 Xenomorph warrior skulls, it contained the body parts of several iconic superheroes from the DC and Marvel universes. The skulls of Batman, Cyclops and Magneto and the clawed hand of Wolverine were displayed. Big Mama must have visited some parallel universes during her hunts. However, it is not so far-fetched as it seems. Batman is known to fight the Predator in the excellent Batman vs. Predator comic series. A fan film called Wolverine vs. Predator was released in 2013 in part of the Super Power Beat Down web series. Unfortunately, the Predator lost in both crossover events so it's nice to see Big Mama's reversal of that. In Predator: Primal, a nature-loving Yautja visited the Denali National Park in Alaska with his spaceship. The Predator loved hunting deer and grizzly bears and this was also reflected in his trophy room onboard the ship. This is the only known Predator trophy room to display antlers, quite similar to many human trophy rooms on Earth. The room also contained a throne-like chair decorated with human skulls. The Primal Predator fought a grizzly bear one last time and lost the fight. Being severely wounded and feeling dishonored, he blew himself up in the spaceship along with his many trophies. Springheeled Jack was a nickname given to the Predator who terrorized London at the end of the Victorian Age. His exploits were similar to Jack The Ripper, and their identities were sometimes mixed up. 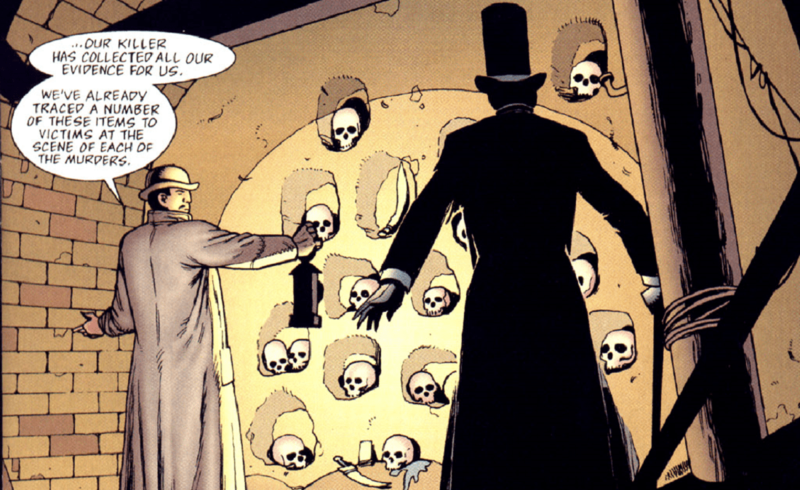 Springheeled Jack's trophy room was located in the sewers of London and contained about a dozen human skulls. His ship was hidden in a nearby tunnel but he chose to display his trophies outside of it, unlike several other Predators. There were also a few weapons from his fallen enemies, like a scimitar. The Predator was defeated by Captain Soames in the same sewers. 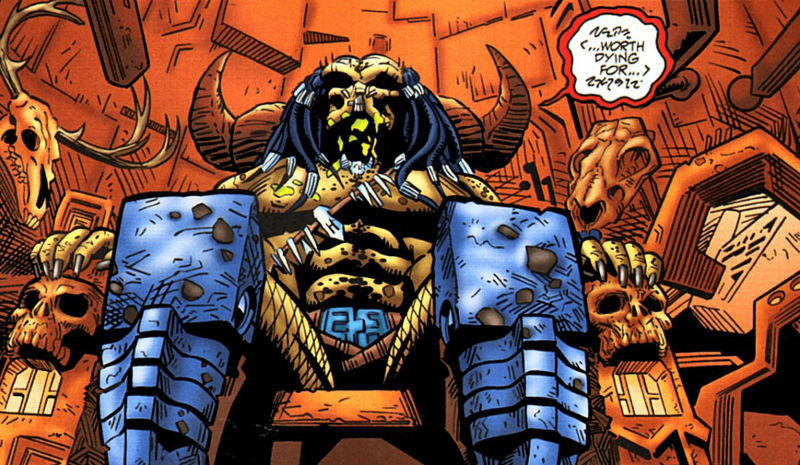 Springheeled Jack and his trophy wall appeared in the Predator: Nemesis comic book. While most Predators enjoyed collecting spines and skulls, the Afganistan Predator from Predator: Hunters II loved hoarding human weapons in addition to skulls. His collection consisted of AK47-s, bazookas and even motorbikes. As Afganistan has always been a hot zone, it contained the much-needed conflict and collectibles for the Predator. The Predator stored his mementos in a hidden cave in the mountains which was discovered and looted by humans later. Want to know more about the Yautja? Check out the list of the most Biggest Predators and look over the best looking Predator Bio-Masks.